The figure used for this unit is a modified Heroclix figure from the Deadpool set. Its model number and name is #047a / Shang-Chi. Character Bio - Orphaned at a very young age, Liu Kang was raised by Shaolin monks, who taught him the way of the spiritual warrior. They soon recognized his potential as a contender for the Mortal Kombat tournament and rigorously trained him for this task. Raiden, too, understood that Liu Kang was Earthrealm's best hope for freedom and introduced him to Master Bo' Rai Cho to further his development. Once fully trained, Liu Kang bested all challengers and earned the high honor of representing the Shaolin in the Mortal Kombat tournament. He and Raiden then embarked on their fateful journey to Shang Tsung's island to compete in this pivotal kontest. 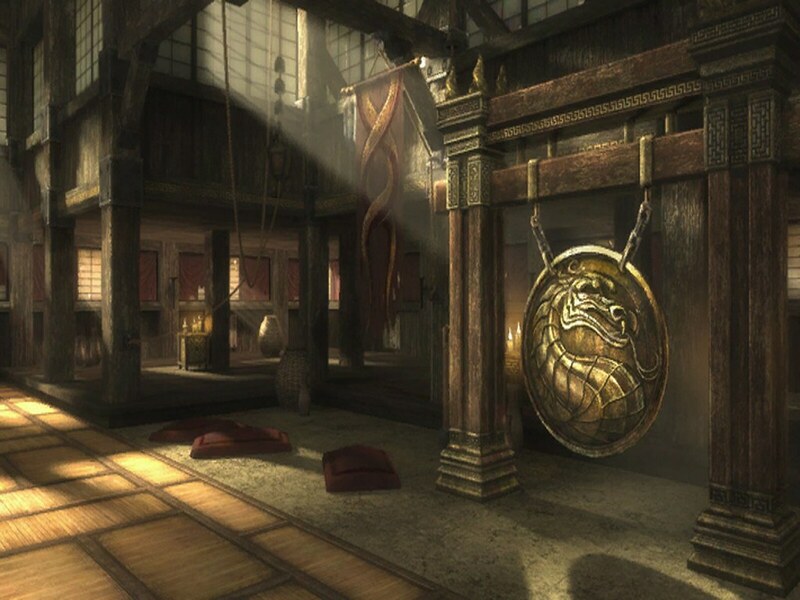 Q: Does Enter the Dragon replace both of Liu Kang's normal attacks, or only one? A: Only one. 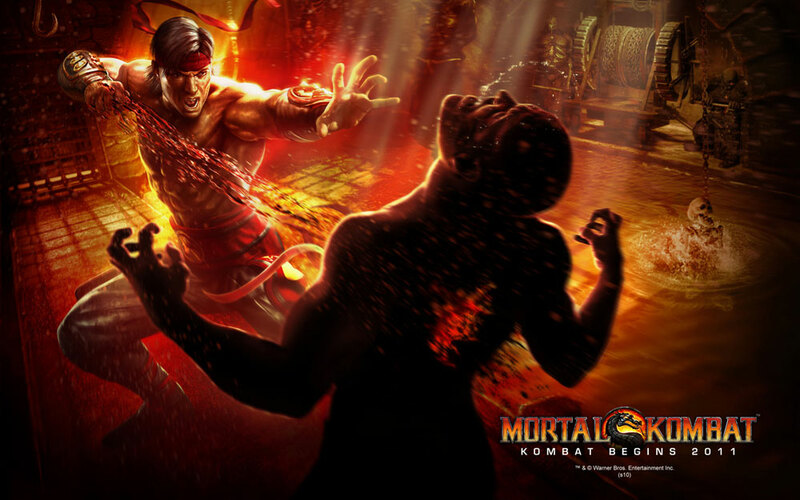 As a result, Liu Kang may use Enter the Dragon in place of either or both of his normal attacks. He may attack normally and use Enter the Dragon in the same turn (in either order), or use Enter the Dragon twice in one turn, in place of attacking normally at all. As a Human, Liu Kang has these Human Synergies. As a Champion, Liu Kang has these Champion Synergies. As a Human, Liu Kang interacts differently with these special powers. As a Champion, Liu Kang interacts differently with these special powers. 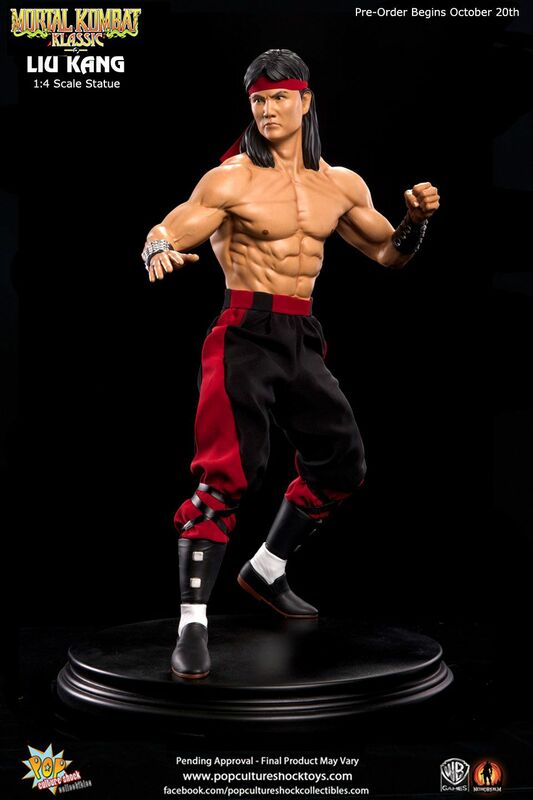 As a figure with a special attack, Liu Kang can interact differently with these special powers. Liu Kang was created by Ed Boon and John Tobias. If at least two Order Markers are on this card, Liu Kang adds 1 to his Attack number, and all friendly figures within clear sight of Liu Kang add 1 to their Defense numbers. When attacking with Liu Kang's normal attack, each blank rolled counts as 2 additional skulls. Liu Kang may attack normally twice per turn. Liu Kang can attack the same figure up to 3 times with this special attack. Instead of attacking normally, you may choose an adjacent figure with up to 2 Life remaining and roll the 20-sided die. If you roll 17 or higher, destroy the chosen figure. Last edited by Arkham; March 13th, 2019 at 04:44 PM. Start with the Shang Chi figure listed in the OP. Paint the pants and feet all black. You can build up a little excess paint to make the feet look more like slippers/shoes, rounding out the toes etc. Paint the red belt a little more prominently, leaving a couple of black loops. Then paint red stripes on the sides of the legs, that sort of get wider as they make their way down the leg. Thinner at the belt, wider towards the shin. Add some white where his socks would be, to look like he's wearing the kung fu slippers over them. Then to finish it off, extend his hair down a bit more with some black paint. Last edited by Arkham; March 7th, 2019 at 07:03 PM. Not sure the dual class is really needed here, unless we have plans for Monk synergy down the line. Also not sure of the theme on Enter the Dragon... wait is he the one that turns into a dragon and bites dudes in half? Oh man, I'm torn then. That's a great Bruce Lee pun but it's kind of a weird stretch for theme. Maybe make it temporarily change his Species to Dragon? He looks solid, very much a staple martial artist. He'd whup Ryu, that's for sure. Yeah he's the one who turns into a dragon and bites them in half. It's not the most iconic Fatality, but I felt it helps further separate him from the Shang-Chis and Iron Fists etc. I also really like the Bruce Lee nod, as that movie, along with Big Trouble in Little China and Bloodsport, were the most notable influences for Mortal Kombat. Open to alternate ways to approach it as well, but ultimately feel it's such a cool unique aspect that it warrants exploring. I don't feel an absolute need for the dual class either. So I can take it or leave it. Kung Lao's card could have a call out to Liu Kang specifically if there were to be synergy there. I mostly love the card, but I now sort of feel as though there's really not enough of a feel of the Bicycle Kick in Shaolin Fire. I really feel like that's missing. If you'd like to suggest a Bicycle Kick special attack of some sort that you feel isn't lost to his normal attacks and works well mechanically, I'm at least open to considering it. It's not from a place of not liking the Bicycle Kick in the games, I dig it, I'm just not sure how well that translates to the game mechanics or what purpose it would serve. Also not completely opposed to the Shaolin Fire power I laid out before, I just switched in favor of simplicity and to appease Tornado who showed reluctance towards 3 normal attack potential. Let me watch some gameplay vids and get back to you on that one. It'd be super effective against any Bicycle DOs we design, I bet. Liu Kang never takes leaving engagement attacks, and may attack with his normal attack up to 2 times at any point before, during, or after his normal move as long as he is on a space where he could end his movement. When attacking with Liu Kang's normal attack, count each blank rolled as 2 additional skulls, and if you roll a blank, you may immediately move Liu Kang and the defending figure up to two spaces each if the defending figure is Small or Medium. Liu Kang must end this move adjacent to the defending figure and the defending figure never receives leaving engagement attacks. Lets him push an opponent to lower ground or any other less favourable spot with a Bicylce Kick, but he has to follow them. If you don't like the flexibility of changing directions, you could work it a bit more like Iron Man's Repulsor Rays. Not really digging that approach. It feels tacked on and reads a bit like a mess. I want Liu to be simple to understand, and simple to play. He hits people, a lot, many times with fire, and sometimes turns into a Dragon and eats people. I'd like to avoid overly wordy/complex mechanics.